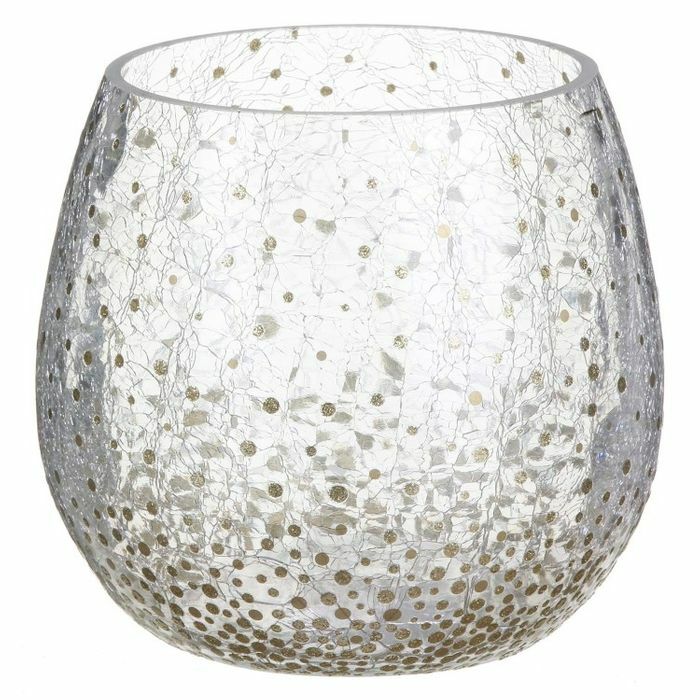 This brilliant jar holder from Yankee Candle is absolutely perfect for your home this Christmas, with shining gold dots and crackle class finish. It captures the mood perfectly. Simply place your favourite festive fragrance, perhaps something from the new Holiday Sparkle collection, inside the holder and enjoy the beautiful smell of Christmas! This holder is suitable for large jars. The Holiday Sparkle collection from Yankee Candle shines bright every Christmas, with bold reds and elegant metallic bringing together sparkling warmth, refreshing optimism, and uplifting energy. Holiday sparkle is inspired by that magical hour of sunset with a fresh take on metallic, with prominent shine complemented by rich green, blue and red tones. A mixture of finishes sit alongside each other for a tactile and contemporary look.